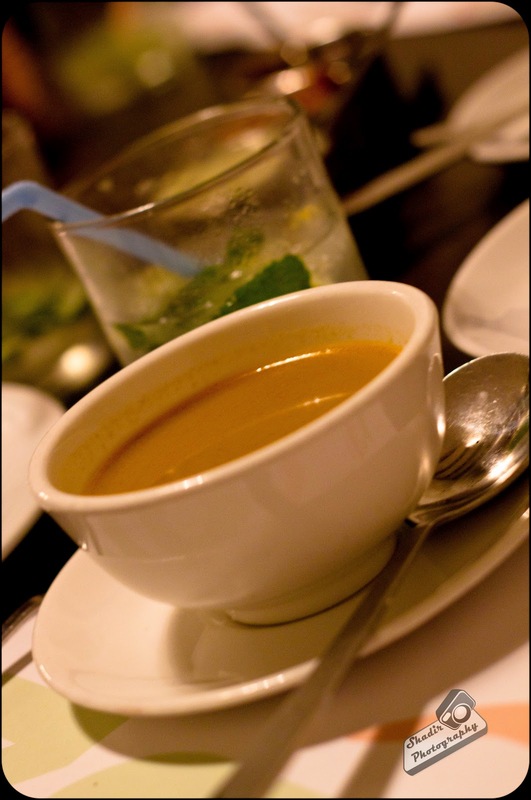 I have always loved the North West Frontier Cuisine or the Peshawari cuisine. This cuisine can be best defined as "rustic and robust". 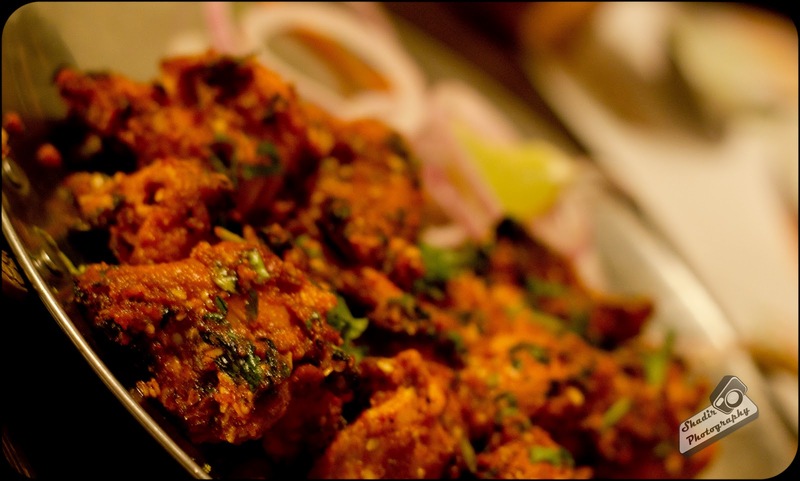 The highlight of the cuisine is the style of preparation, where large chunks of meat, seafood and vegetables are marinated sparingly and cooked in a tandoor making the meat very tender and juicy. I was at Zaica, Cathedral Road for the lunch buffet with a couple of friends. Its priced at Rs 480/- for the non-vegetarian lunch buffet. The soup and the starters are served on the table, so we sat back in our chairs and waited as the food arrived. We were served with a plate of papdi chaat, I felt the papri in the chaat, was just too brittle and it kept breaking away by the time I could put it in my mouth. 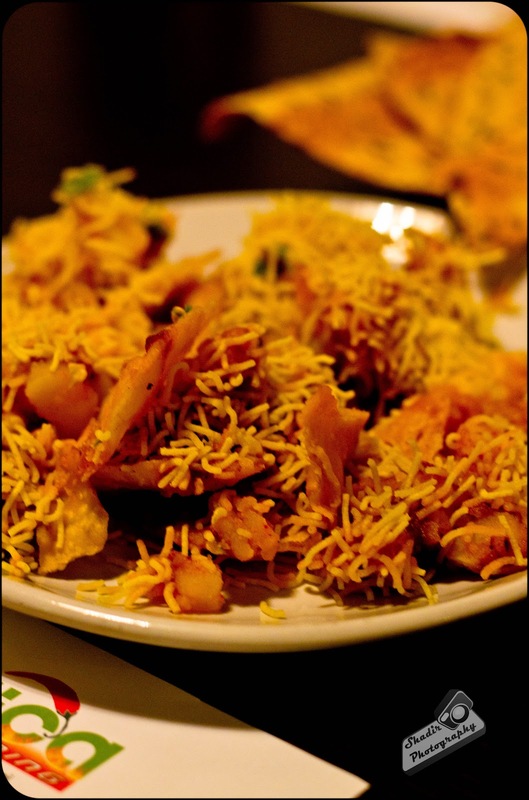 Also the sev and the papri felt a bit soggy and lacked the crispy and crunchy feel. Then we were served with the soup, Yakhni Shorba. The Shorba felt very light and felt like a mutton broth, I was hoping it to be a little thick and also wished it was a little hot. 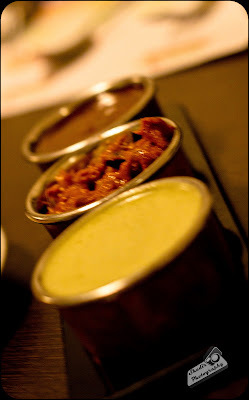 Then came in an array of starters, both vegetarian and non-vegetarian. 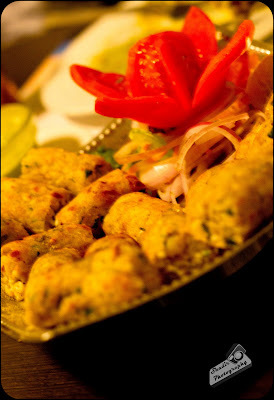 Murg Til Tikka, Murg Malai Methi and Fish Fry from the non-vegetarian section and Gul Gul Fom Ki Panner, Beet Root Ki Tikki and Bhutiyan Di Sheek from the vegetarian section. 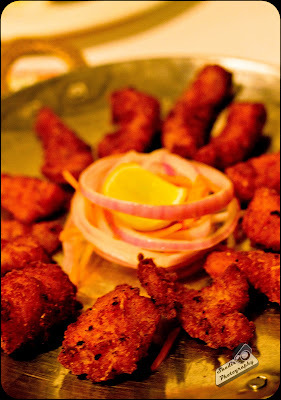 The Fish fry was definitely fish and fried but it lacked spices in it, making it a very bland fry. 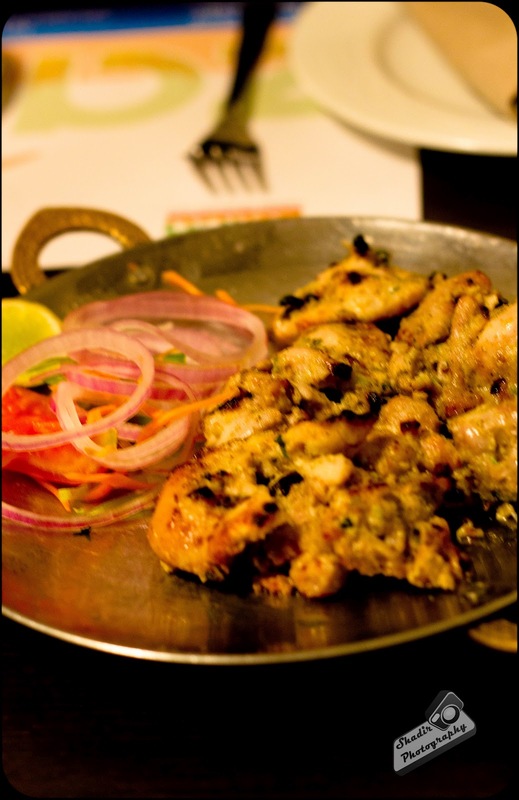 Murg Til Tikka and the Murg Malai Tikka tasted very wholesome with loads flavors, the meat was very tender and nice to have. I personally preferred the Murg Til Tikka,it was nice and spicy. But the highlight was definitely the vegetarian starters. Gul Gul Fom Ki Paneer was very soft and well marinated. I loved this paneer. I had a couple of them. The Beet Root Ki Tikki was the most sought after item on our table. We even asked for a extra serving of the Beet Root. The tikki was well done, soft and had the right amount of spices in it. 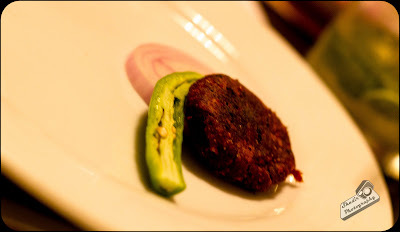 Bhutiyan Di Sheek is the veg version of the sheek kebab, it had a corn stuffing it. It was again soft and tasted wholesome with flavors. At the end of the starters we felt the Vegetarian starters had kicked the non-vegetarian starter all over. After a good load of starters in our belly we went ahead to the main course. The main course was a little disappointing. There were only 3 non vegetarian dishes. I served myself with the Chicken Biriyani along with the onion raita, Mutton Rogan Josh, Chicken Tikka Masala and Paneer Methi Malai. I took a few Lacha Parotta to go with the gravies. The Chicken Biriyani was sad, it could not even pass for a tri-color rice, neither did it have any chicken piece in it nor did it have any flavor to it. Chicken Tikka Masala had nice tender pieces of chicken, but the gravy seemed to lack something. Mutton Rogan Josh looked really nice. 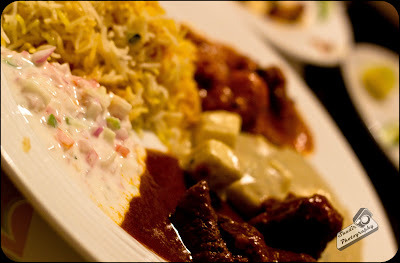 Mutton was nice and well cooked with good amount of flavor to it. I just hoped that the gravy was a bit on the thicker side. Paneer Methi Malai had nice big chucks of paneer in it, I felt that the panner did not have sufficient time for marination, as the taste of the gravy was not felt in the paneer. 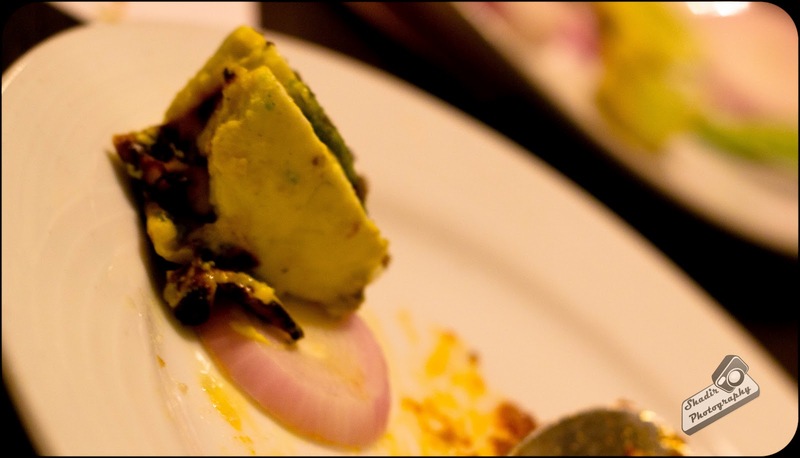 Lastly the Lacha Parotta were super soft and fluffy,it tasted great with the variety of gravies. At the end of the main course I was a little too confused if the food was good or not. I went haltingly into the dessert course only to get disappointed even further. 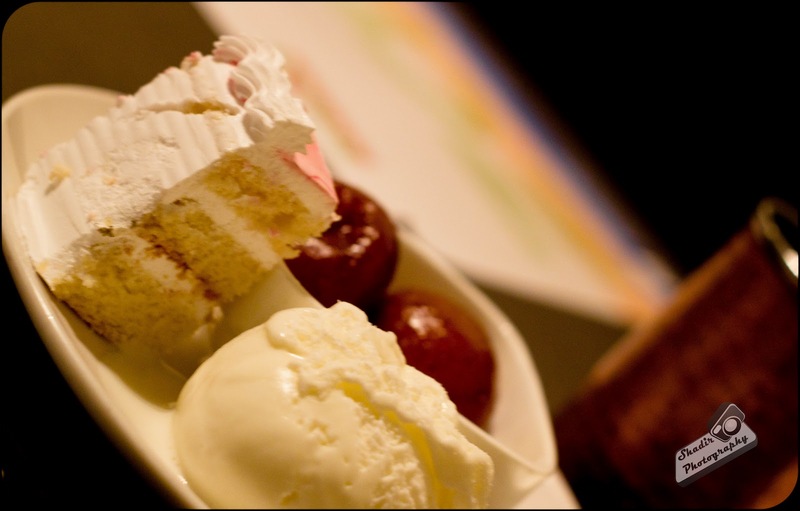 They had a Vanilla Ice Cream, Gulab Jamun, Rice Kheer and a cake. The cake tasted pathetic, Rice Kheer was very bland with no taste to it. Gulab Jamun was HOT and was a little firm,but tasted kind of okay. I had received great reviews about this place from my aunt, who had been here for some kitty party. But I was left with disappointment. Paying Rs 480/- for a buffet with majority of the dishes turning bad is a bit sore. With many nice restaurants in the vicinity they need to improve vastly if they need to stand in this business. 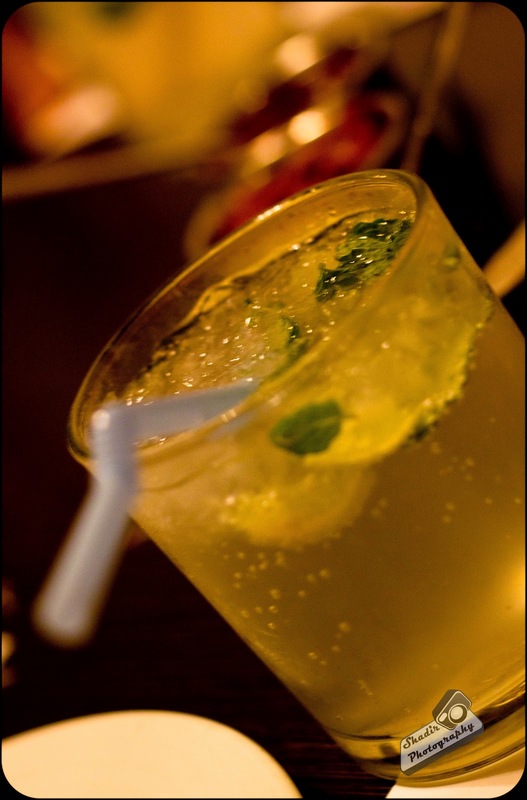 Zaica is located in Cathedral Road next to Copper Chimney and China Town.